Between Mason and Llano, Texas, in the Hill Country, is a little town called Art. 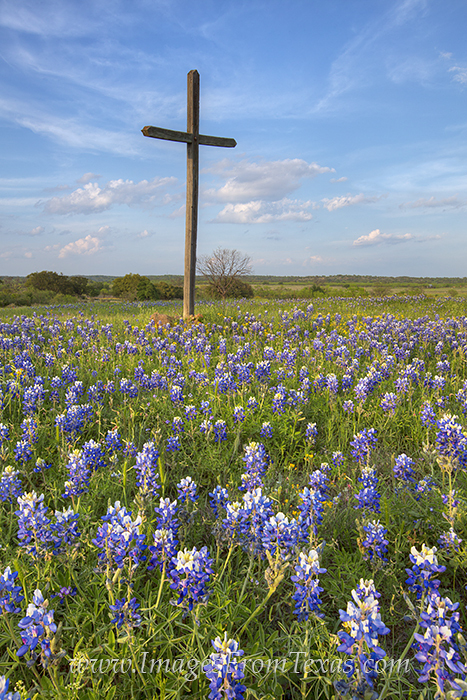 A Methodist church is in along the highway and each spring, this outdoor cross is surrounded by bluebonnets. This is the old wooden cross on a spring evening. Photo © copyright by Rob Greebon.